Do you think we have the best BBQ in Dallas? Vote for us in the Best of Big D Best Barbecue category. Vote once a day—every day—until April 23! Thursday & Friday we're featuring Wagyu Akaushi Smoked Ribeyes! We're also featuring Italian Sausage. "Cattleack Barbeque lives up to every bit of hype it’s received from Texas Monthly,"
We are so honored D Magazine would vote us as The Best Barbecue in Big D. We not only appreciate them but our staff who consistently weekly knocks it out of the park for all of our fans we love. A huge Thanks to all! Cattleack BBQ is named #3 in all of Texas! FROM 10:30AM UNTIL WE RUN OUT OF MEAT! WE WILL BE CLOSED THE 1ST SATURDAY IN MAY!! is open every Thursday & Friday (and now, the 1st Saturday of every month) with our doors wide open at 10:30 a.m. (however sometimes the line builds fast) for our BBQ lunch dine-in or take-out service, and we keep serving until we run out of our “branded the best” smoked meats and sides. Come hungry because we’re serving a full menu! 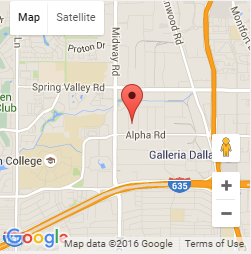 We’re located at 13628 Gamma Road, Dallas TX (just north of 635 and east of Midway - near Addison, TX and Farmers Branch, TX). If you are a true BBQ fanatic and like to explore Dallas for the best BBQ, come see us and keep up with us on Facebook and Twitter to find out about our BBQ featured menu items. We always recommend the ribs, brisket, pulled pork and sausage or the TODDFATHER Sandwich or the crack cake or... Ahhh let's be serious, we love and recommend it all...so come on in and enjoy our BBQ favorites. We can't wait to meet you!